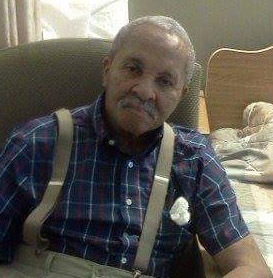 A Celebration of Life for Mr. Ambrose Davis, 89 of Decatur, Alabama will be noon Thursday, September 13, 2018 at Reynolds Funeral Home with the Reverend Equator Black officiating and inhumation in Bell Church Cemetery. Mr. Davis passed away on September 6, 2018 at the River City Center. Ambrose Davis was born on December 31, 1928 to Thomas (Tom) Davis and Sallie Burt Davis in Morgan County, Alabama. He departed this life on September 6, 2018 at River City Center. He worked at Chemstrand and later at The Alabama Farmers Co-op, where he retired. He was married to Emma Davis for over 65 years. He was preceded in death by his parents; and daughter, Sally Marie Davis. Ambrose Davis leaves to cherish his memory: his loving wife, Emma Davis of Courtland, AL; five children, Janice Torain, Ronnie Davis (Brenda) of Decatur, AL, Ambrose Davis, Jr. (Tammy), Tome Willie David, Brenda Gates (Michael) of Louisville, KY; step-children, Emma Rogers of Louisville, KY, Joann J. Newman (Robert) of Town Creek, AL; eight grandchildren; 12 great-grandchildren; two great-great-grandchildren; a host of nieces, nephews, other relatives and friends.